It is 70 years since large parts of Europe lay in ruins. Great power aspirations, nationalism and fascism made the continent the focus of two world wars, which together claimed nearly 100 million victims. Now, these same tendencies are spreading once again. Everywhere in Europe, the ruling elites are moving sharply to the right. They are boosting military spending, taking part in the imperialist wars in the Middle East and Africa, sealing up borders and inciting xenophobic sentiments against refugees. They are developing authoritarian forms of rule and building up a police state in order to suppress growing social tensions. After the attacks in Paris, the Socialist Party government imposed a state of emergency for three months, stationed thousands of soldiers on the streets and deployed the military’s only aircraft carrier to the Persian Gulf to bomb Syria. The beneficiary of this policy has been the right-wing National Front, which became the strongest party in the first round of the recent regional elections. In Hungary and Poland, governments openly profess their admiration for the authoritarian regimes of the 1920s and 1930s. In Germany, leading politicians and academics demand that the country again take on the role of a “hegemon” and “disciplinarian” in Europe and aspire to be a major power in the world, as if the crimes of the Nazi regime never happened. The austerity policies that Berlin has imposed on the economically weaker EU members for years have aggravated social and political tensions throughout Europe. Even the Italian Prime Minister Matteo Renzi, who otherwise is a political follower of the German chancellor, criticized Angela Merkel in the Financial Times this week for pushing economic policies that are fanning the flames of populism and damaging incumbent governments across the continent—and are based on double standards favoring Germany and hurting Italy. Governments in Warsaw, Athens, Lisbon and Madrid had lost their jobs because they followed the policy of fiscal discipline without true growth, Renzi complained. Numerous recent comments in the media focus on the potential break-up of the EU under the pressure of growing contradictions and tensions. An editorial in the Süddeutsche Zeitung even demands a “Plan B” in the event that the EU breaks apart. The main danger comes less from Greece and the refugee crisis or an exit of Britain than from “neo-nationalism”, the newspaper states. While these and other comments warn of a break-up of the EU and the possible consequences, they do not answer the question of why nationalism and militarism are flaring up again in Europe. Indeed, they do not even pose the question. Contrary to the claims of official propaganda, the EU has never overcome the conflicts that made Europe the center of two world wars. 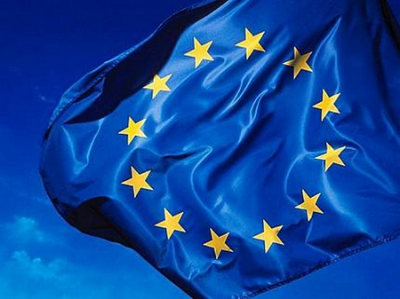 The EU does not unite the peoples of Europe, but has always been a weapon of the most powerful economic and financial interests against the working class at home and international rivals abroad. It is a hotbed of nationalism, inequality, dictatorship and war. The EU is living proof that it is impossible to unite the continent on a capitalist basis. The defence of capitalist private property and the free movement of capital and profits, which are the focus of the EU treaties, inevitably have the consequence that the most powerful corporations in the EU set the tone and the strongest states impose their will on the weaker. Instead of alleviating national and social contradictions, the EU exacerbates them to the extreme. The enlargement of the EU into Eastern Europe a decade ago did not bring democracy and prosperity. The new members have served the major European corporations as a source of cheap labor. Their welfare programs are being destroyed, wages kept low and unemployment high, while a small corrupt elite enjoy prosperity. The EU, and especially Germany, took advantage of the financial crisis of 2008 to dictate unprecedented social cuts in the name of fiscal consolidation. In Greece, which was made an example, the average standard of living declined by 40 percent in a few years. The EU and its members have responded to the growing social tensions with militarism and increased repression. The real or supposed danger of terrorist attacks have served as a pretext for further anti-democratic measures. With the refugee crisis, the consequences of imperialist wars in the Middle East and North Africa have returned to Europe. The refugee issue has further polarized Europe. While large sections of the population react with solidarity, the ruling circles have unleashed a furious campaign against refugees, building up border fences and fighting each other. The dangers arising from the break-up of the EU are very real. New wars and dictatorships, even within Europe, loom. This danger cannot be prevented by defending the EU, but only in a relentless struggle against it and the capitalist system upon which it is predicated. The only way to unite Europe in the interests of its peoples, to use its vast resources in the interest of all and to prevent further wars, is through the United Socialist States of Europe. Only the independent mobilization of the European working class on the basis of a socialist programme can halt the impending disaster.